The FortiAP-222B is a ruggedized outdoor thin AP capable of wireless transmissions of up to 27dBm (500mW) designed for harsh environments. Purpose-built with the latest IEEE 802.11n hardware, the FortiAP-222B provides high data rates while covering a vast area via its highly sensitive receiver. 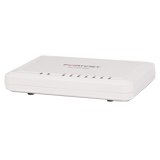 The FortiAP-220B forwards all wireless traffic to its associated FortiGate® Controller to provide unmatched security, role-based access control (RBAC) with single pane of glass management for the lowest total cost of ownership. The Fortinet Enterprise class wireless solution of FortiGate and FortiWiFi Controllers and FortiAP access points deliver industry-leading visibility, security, performance, and scalability. 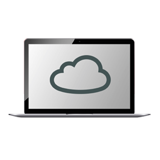 Large scalable distributed deployment is made possible by centralized configuration, management, and analysis via FortiManager™ and FortiAnalyzer™. The FortiAP-222B is engineered to withstand extreme temperature ranges, moisture condensation and precipitation, and sealed for protection from dust and other contaminants. This allows maximum deployment flexibility in inhospitable indoor or outdoor environments, such as warehouses and industrial settings and outdoor campus or resort coverage. This dual radio AP allows up to 16 virtual SSIDs – 14 for client access and 2 for monitoring, all with different authentication and policy settings. 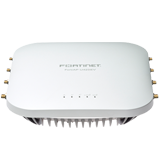 The FortiAP 222B can be used as a dedicated Rogue AP monitor on both 2.4 and 5GHz bands or a WiFi hotspot or AP. FortiGate's wireless LAN controller allows you to choose from the widest range of networking and security technologies available, including application control prioritization, data loss prevention, and network access control. You get the flexibility you want to deploy the right layers of security to match your environment.